This is really exciting. 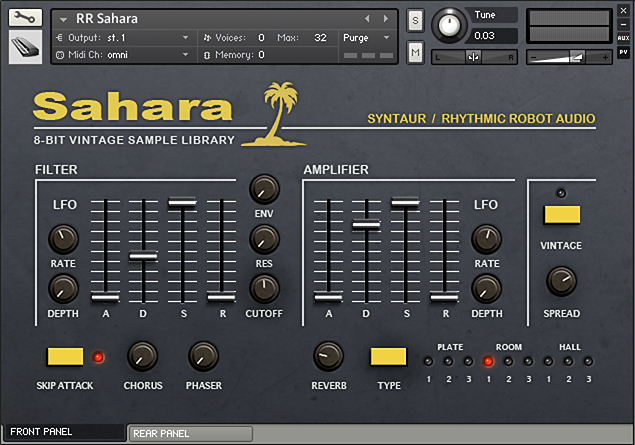 The lovely people over at Syntaur have agreed to license us the original Ensoniq Mirage factory soundset in all its 8-bit glory, and we’re right now in the process of sampling each and every patch into Kontakt. To do this we’re using the same workflow we developed for the Emulator II UOS libraries – which is to say, we’re sampling every note of every patch, chromatically, and often at multiple velocity levels as well, all from our much-loved rackmount Mirage. The aim is to capture the exact sound of the Mirage’s DACs and filter, so you get exactly the kind of warm crunch for which these machines were famed. The patches we’ve done so far have been a revelation: the Mirage has a teeny-tiny amount of sampling memory, but the factory patches squeeze a truly impressive mileage out of it. They include one of the most biting, cut-through-the-mix piano sounds we’ve ever heard (completely out-Houses the M1 “House” Piano, for example), some very sweet and soaring string sounds which we can’t wait to hear layered up with each other, and some blisteringly punchy drum kits. Plus we’re looking forward to getting into the synth and ethnic sounds that grace the later disks. this is such a good news and a good idea !! how long until the 20% discount disappear?